A portion of the 150th Gettysburg Country music Tribute concert proceeds will be donated to and benefit the SGT MAC Foundation & National Wreath Project. The SGT MAC Foundation, National Wreath Project & Scholarship of Honor in Eric's name has been supported consistently by this organization since Gettysburg Marine Sgt. Eric McCollley was killed in a helicopter crash off the coast of Africa in 2006. Two of the event partners, Randy & Shaun Phiel, knew Eric well. He was an Eagle Scout in their scout troop, was on the high school swim team with Randy's daughter and lifeguarded at the local pool. SGT MAC board member, and local veteran's advocate Marine Stan Clark, facilitates the very popular Patriotic Area at the Annual Gettysburg Civil War Reenactment event each year. 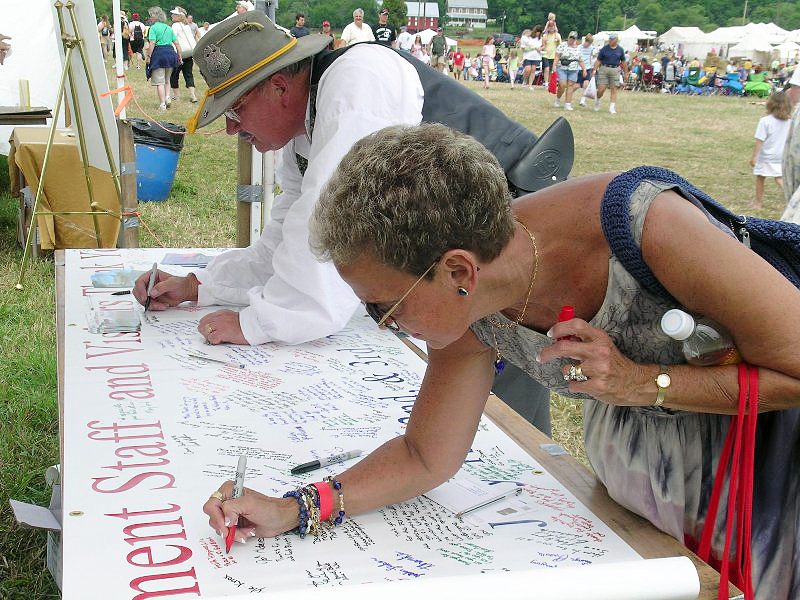 Visitors write comments of appreciation and support on numerous banners and the banners are sent to appreciative combat troops. 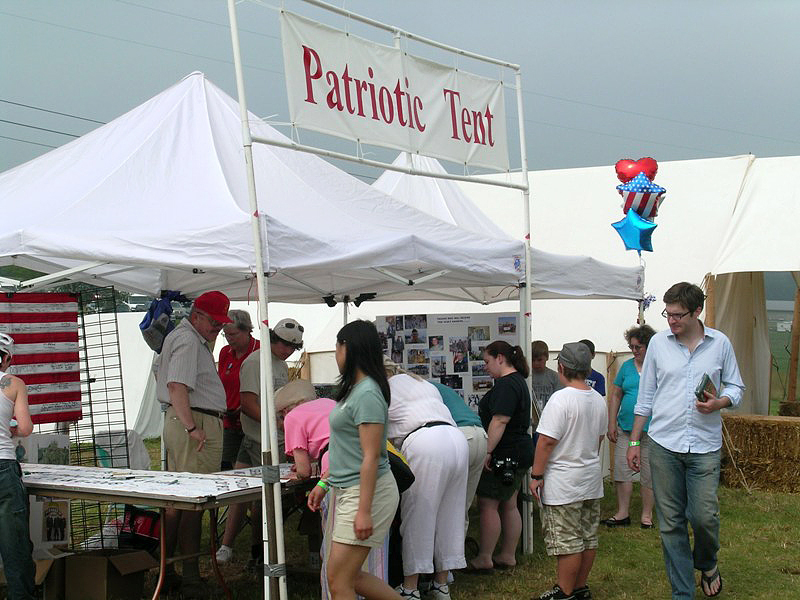 You are invited to visit the Patriotic Area at the 150TH Gettysburg Country Music Tribute concert each day pictured below. Included above are photos of a combat unit displaying their banner that was taken into battle and Randy Phiel pausing beside Sgt McColley's gravesite after helping to distribute and place 5400 wreaths at Quantico National Marine Cemetery. Over 150 volunteers at Gettysburg, and 500 volunteers at Quantico participated in the placement and commemoration on November 30 and December 1. Despite Giant Food providing wreaths at cost and ABF Freight donating transportation the cost last year was $56,000. There is no overhead or administrative fees. Every penny goes to the project. 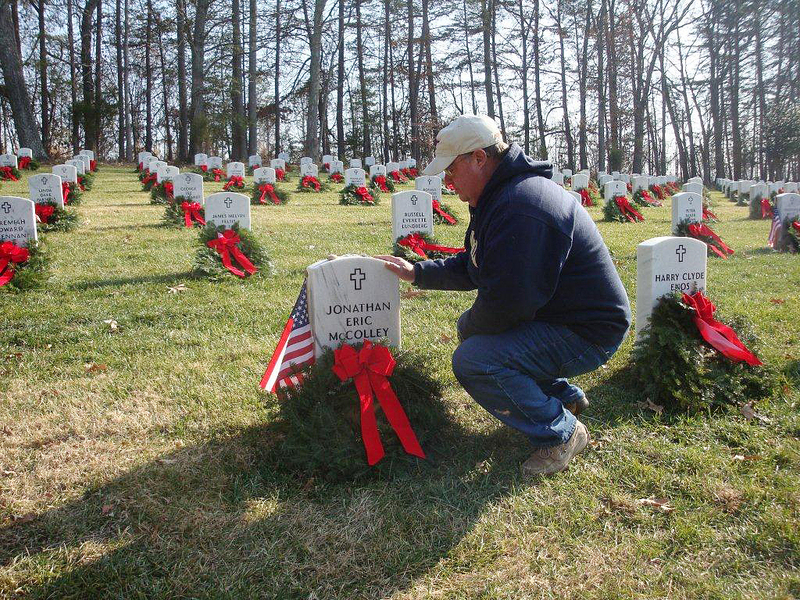 The goal is 10,000 wreaths by the 10th anniversary in 2015. If you would like to consider donating to or participating in this patriotic project contact Stan Clark scmb@earthlink.net or go to www.sgtmac.org We urge your contribution and participation.